Ron Lewis Kia (formerly Morrow Kia) is located in Beaver Falls, Pennsylvania and has been part of the Ron Lewis Automotive Group for 19 years. We are located only about 30 minutes from Youngstown, OH, Moon Township, Sewickley, and Cranberry. We have a great selection of Kia models — from the Kia Optima to the Kia Sorento, the Forte, Sportage, Soul and Kia Rio — and with shipments coming off the trucks weekly! Our Service Department at Ron Lewis Kia offers Saturday service hours, 30-minute Quick Lubes, and we have a full body shop at the dealership for repairs on any make or model. When you come visit us for service, we also provide you a complimentary hand-wash of your vehicle! As a member of the Ron Lewis Automotive Group, Ron Lewis Kia has an access to an extensive pre-owned vehicle inventory as well. We would be happy to bring any vehicle you’d like to see to the location that’s best for you! 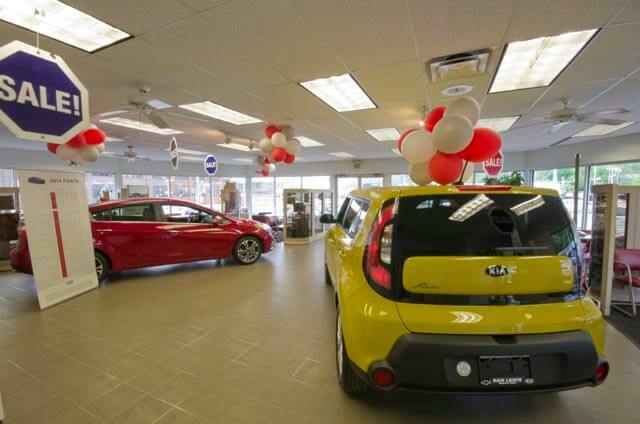 Ron Lewis Kia (formerly Morrow Kia) is located in Beaver Falls, Pennsylvania — only about 30 minutes from Youngstown, OH, Moon Township, Sewickley, and Cranberry.